Peter Ling's acclaimed biography of Martin Luther King Jr provides a thorough re-examination of both the man and the Civil Rights Movement, showing how King grew into his leadership role and kept his faith as the challenges facing the movement strengthened after 1965. Ling combines a detailed narrative of Martin Luther King's life with the key historiographical debates surrounding him and places both within the historical context of the Civil Rights Movement. 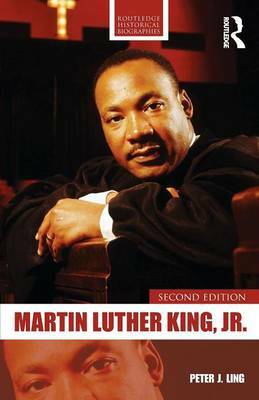 This fully revised and updated second edition includes an extended look at Black Power and a detailed analysis of the memorialization of King since his death, including President Obama's 50th anniversary address, and how conservative spokesmen have tried to appropriate King as an advocate of colour-blindness. Drawing on the wide-ranging and changing scholarship on the Civil Rights Movement, this volume condenses research previously scattered across a larger literature. Peter Ling's crisp and fluent style captures the drama, irony and pathos of King's life and provides an excellent introduction for students and others interested in King, the Civil Rights movement, and America in the 1960s.